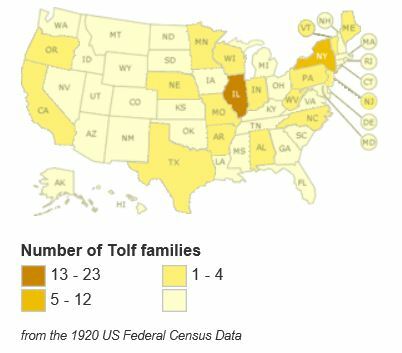 I come from a long line of Tolfs. And that’s quite an accomplishment for a Swede! You see, genealogists researching in Scandinavian countries generally encounter the patronymic naming practice early on. Since Tolf was the first name I added to my family tree, I was fortunate not to have the extra challenge of ever-changing surnames. Kolare TOLF (and Sigrid) born about 1575 in Sweden. Does the surname TOLF appear in your family tree? Perhaps we’re related! Surname Saturday is a blog prompt suggested by Geneabloggers. The Norwegian church records are fairly intact back to the early 17th c and in some cases the late 16th c, in some places, and are held centrally in Oslo. The problem is that not all of them have been put online yet. But the indexes are mostly there. The line I spoke of were mostly farmers in Verdal, Nor-Trondelag, near Trondheim. Since they were near the Trondheim Fjord, some were fisherfolk. I haven’t run into many who were at all well to do. In other words, they were poor! My g grandfather, who emigrated around 1865 but whose records I can’t find yet, was one of 12 people on a small farm in the 1865 census. He and one of his two brothers were listed as “day laborers.” I gather from that that there wasn’t enough work on the farm to keep them busy. In the end, everyone but the father emigrated. He was badly disabled, and presumably didn’t think he’d survive the passage. In addition, he believed the sermons mandated by the king on the evils of emigration. The sons and daughters emigrated, one by one. His loyal wife and youngest daughter stayed with him, but the year after he died, they went too. And changed their names to Johnson, ya betcha ya. My other Norwegian names are Hanson and Harrison. Another long story! It looks like your Tolfs in Sweden used a modified patronymic, which some of my Norwegians did too. That is, Carl Carlsson Tolf was the son of Carl Persson Tolf, who was the son of Per Larsson Tolfen. So I am guessing, based on the Norwegian model, that the Tolfs lived for generations on the Tolf farm. Is that correct? They needed both names, the patronymic AND the farm name, for others to determine which Carl, or Per, or Lars, was being mentioned, whether verbally or in a legal document. I think you are very lucky to have the Tolf name go back so far! Did you get these from church records? In Norway, when a family moved from one farm to another, they typically took the name of the new farm. So am I guessing right that your Tolfs were also very geographically stable, living on the same farm for all these generations? In one of my Norwegian lines, some families, the one who inherited the family farm and stuck around, kept the farm name, which happened to be Jermstad. Unfortunately for me as a researcher, the generation that emigrated happened to have the patronymic of Johannessen, which my branch Americanized to Johnson. I do wish they’d kept it Jermstad, as another branch did. That crew is much easier to research when they move around the US! My Tolfs generally stayed in Småland, primarily in Svenarum, but not as farmers. They were blacksmiths. My direct line includes many master blacksmiths. Those church books are invaluable resources, aren’t they? I am so fortunate; many of the books from the area are still extant. That’s what makes genealogy fun! Doris, it sounds like you have your work cut out for you!